Are you a self storage customer facing the possibility of having your belongings sold at auction? Don’t worry. It’s more common to fall behind on your monthly storage rental bill than you might think and, depending on how far along you are in the lien process, you still have options for saving your items from the chopping block. The way most self storage companies are set up, the property manager at your facility has a lot of say in who finally goes to auction and who gets the courtesy and second chance of a payment plan or special arrangement.If you’re on good terms with your facility’s manager, this bodes well for you, since they will be more willing to work with you to come to a satisfactory arrangement. However, if you’ve antagonized or irritated your property manager repeatedly, you can expect them to follow the book when it comes to processing your unit for auction. Although exceptions always exist, most of the time the company you are storing with will place most if not all of the responsibility for handling the delinquent units and the auction process in the hands of your actual property manager. 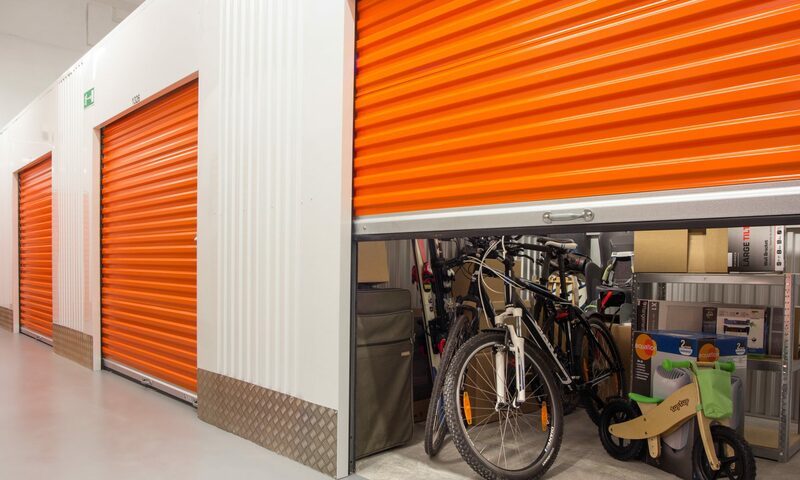 Most of the time, unless there are special circumstances surrounding a delinquent storage locker, those higher-up on the food chain really won’t have much direct involvement in the delinquent units that are sold via auction. So, your property manager is the person you can look to for the final and major decisions on a given case; a given storage unit. This is great news if you have always been cordial and polite to your manager. This is bad news if you have been rude, habitually late in making your payments, and consistently evasive when it came to your manager trying to get in touch with you. You would be surprised at how often a storage facility manager is willing to work with their tenants, even the late ones, in order to arrange a payment agreement that will keep their bosses and accountants happy while lessening the financial burden on the struggling customer. Unfortunately, most storage customers’ instincts seem to tell them to avoid their manager like the plague once the courtesy and collection calls start rolling in. If you are currently a storage customer at risk of having your belongings sold at auction, you need to resist and overcome this instinct. Your property’s manager may very likely be willing to help you out. They can’t do that if you never answer their calls, ignore all their e-mails and texts, and tell them they’ve got the wrong number, or that you don’t speak english, whenever you do actually pick-up. This evasive behavior irritates the property manager profoundly. They know that you are getting their messages and that they have the right phone number. They know you are avoiding them because you are late on your monthly rent. They also know that they have to make a certain number of collection calls per day in order to keep their jobs. Pretty soon this combination of circumstances makes for one frustrated property manager who is tired of seeing your name pop up in their system. If, however, you are responsive to the manager when they call you, if you at least have the decency to answer the phone and acknowledge that you are late on your monthly payment, you would be amazed at how willing the average storage manager will be to help you out when you are feeling the pinch. The best advice I can give for when you fall behind on your rent payments is to get in touch with your manager immediately. Call them and leave them a message if you wish. If you’re in the area, it makes a great impression when you actually show up in person. When you communicate with your facility’s manager and show them that you are at least aware of the situation, you greatly increase your chances of stopping your unit from going to auction. Consider this simple fact, from the manager’s perspective: when someone dodges your calls for months, pretends to be unaware of the situation, and hangs up on you every time you try to call them, you can understand why eventually the manager will get fed up with you and begin to take a personal pleasure in the idea of your unit getting sold. However, when you simply show up and say, “hey, I know I’m late and I’m sorry. I’m having a bad month but I’m working on it. My next paycheck comes on X date,” the manager appreciates profoundly that you are taking responsibility for your financial obligation and letting them know what’s going on. I have seen managers waive late fees and other types of fees, or even outright lower the rent for a given tenant for a few months in advance, in order to help out a self storage tenant that came to let them know they were having a hard time and were worried about their next storage bill. Just keeping in touch and keeping your manager abreast of your situation as it changes humanizes you to the degree that most any manager would be willing to help you out. It’s much easier to get frustrated with you and to cross you off that mental list of extended graces when you become a source of irritation and can’t even muster the common courtesy to return a phone call.